Will Anthony Joshua fight Dillian Whyte at Wembley on April 13th, or will AJ make his US debut and fight Jarrell Miller in New York on the date? This is what fight fans are waiting to find out, and Miller and his team are equally interested, in fact more so. Dmitry Salita, co-promoter of the unbeaten Miller spoke with Sky Sports and he said that the “ball is in Joshua’s court” but that his fighter is ready and waiting to fight Joshua in April if he wants it. 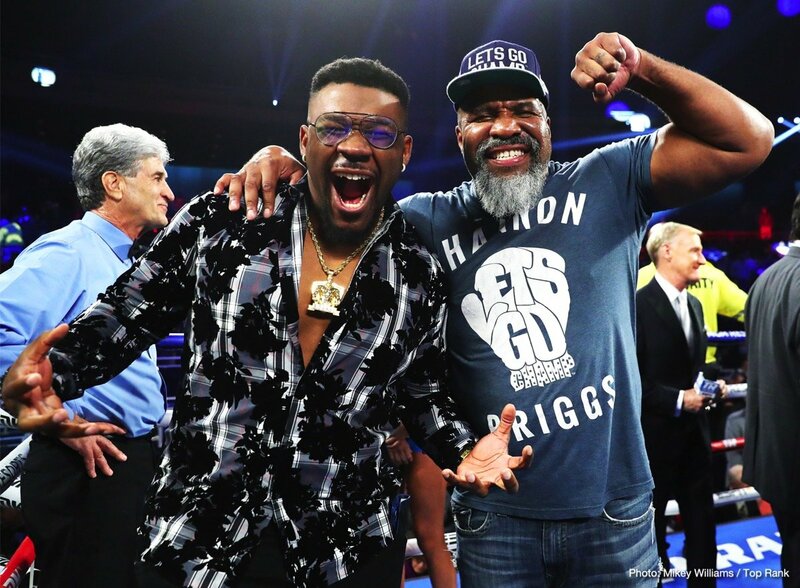 Salita, a former pro himself, says a big fight between Joshua and Miller “would bring back the heavyweight memories of Mike Tyson and Riddick Bowe” if they fought at Madison Square Garden in New York. With the recent Deontay Wilder-Tyson Fury fight being the heavyweight title fight to bring back the memories of the great heavyweight nights in the US, maybe the time is indeed right for more big heavyweight rumbles to take place in America. These past few years, with the Klitschkos dominating and then Joshua coming in, the big heavyweight fights have been staged in Europe. But now the big guys could be heading back to New York, Las Vegas and Los Angeles. It’s high time Joshua fought in America and with as vocal a challenger as “Big Baby” ready, willing and waiting to face him, maybe it will happen in April. It seems a dead-cert a Joshua-Miller clash would guarantee a sold-out Madison Square Garden, but who wins the fight? The way Miller is talking, bigger is better and at 315 pounds, Miller sure is big enough. But is he good enough? Can Joshua fight effectively in front of a hostile audience many miles away from home? Would a Joshua-Miller fight have any chance of going the distance? We might get our answers on April 13th. Of course, the deserving Dillian Whyte would not be happy, but AJ against Big Baby just might be the heavyweight title fight that gets people talking in a big way in the first third of 2019.